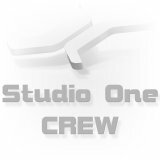 Studio One 4.1.2 is online! the first update in 2019, Studio One 4.1.2 is ready for downloading. We wish you a creative new year with the new functions, fixes and improvements. • Wrong English translation "Quintole" and "Septole"